Shine wherever you go with lots of movement and Sway. 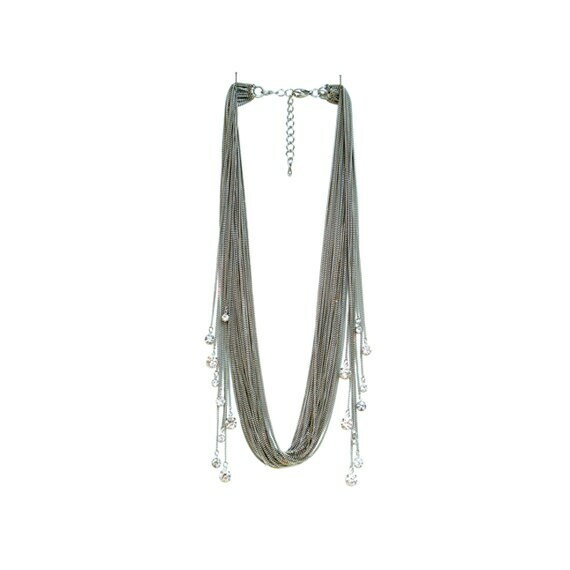 Multi Strand Drapery Sway Necklace with varies sizes of Rhinestones on each sides in varying lengths hanging dramatically. This Dramatic Sway Rhinestones will move with you! 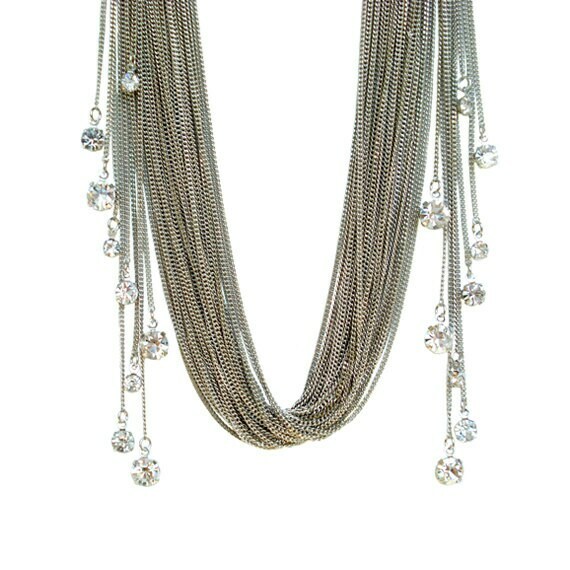 Super Glam Rhinestone and White Gold plated delicate metal chains.